At Stonecroft we believe each child should develop at their own pace. With varied environments children have the chance to explore their surroundings freely. Each child is assigned a key person and with regular observations and assessments each child is given the experiences they need to help them develop. We accept children from 3 months to 5 years who integrate with each other on a regular basis but also have their separate rooms in times of need. We are a diverse setting welcoming children from all nationalities and backgrounds. We have good connections with the local school and also Springboard opportunity group. Staff are all fully qualified and rigorous checks such as references and DBS checks are carried out before employment commences. As children progress towards their pre-school year, special attention is given to enhance their development ready for their primary education. Our latest OFSTED report shows that our setting is good and we are always striving towards gaining that outstanding. Regular inspections are carried out by OFSTED and we work closely with N-Somerset advisers to ensure we are offering the best possible care. 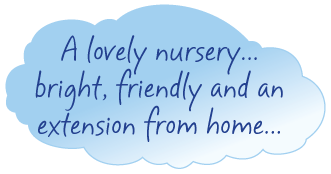 Parents are always welcome to view the nursery and discuss their child’s progress, we hold parents evenings and open afternoons to allow this to happen. Breakfast, Morning snack and afternoon tea are included in the varied sessions available. A two course home cooked lunch is available to all, with special dietary requirements catered for. Meal times are relaxed and sociable occasions and good manners and behaviour are encouraged. To find out more about Stonecroft Day Nursery and the many services we offer, just click here to download our brochure.